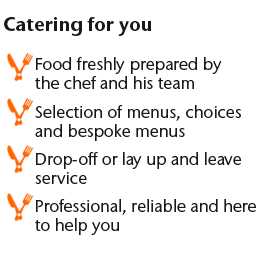 Please scroll down the list and choose your delicious chef prepared ready meals, which are frozen for your convenience. You can select the amount you require when you have clicked on ‘Add to Cart’ and payment is via PayPal. We will contact you prior to delivery to arrange a convenient time to drop to your door and we deliver free within a 15 mile radius of Hitchin when you order over £50. If you don’t want to order online or if you don’t have a PayPal account, call us on 01462 436444 and we will be pleased to take your order over the telephone. This pâté has two luscious flavours of Jack Daniels bourbon and port giving it a rich smooth taste. Our mash is not really mash as the potatoes are whisked with a little butter and crème fraiche and seasoned with sea salt and freshly ground black pepper. We offer a selection of additional ingredients, such as Stilton, wholegrain mustard and goat’s cheese, or simply plain. From £2.20 per portion.